The queen of hill stations, Ooty is a picturesque town in the lap of Nilgiri Hills at a height of 2240m from the sea level. This romantic getaway with stunning locales for soothing sightseeing from Bengaluru was a favorite haunt of the British in India. The landscape dotted with sprawling teagardens offers wonderful vistas of greenery. At a short drive from Coimbatore Airport, Ooty is nature’s darling. Ooty Lake, Droog Fort, Dodabetta Peak, Lamb’s Peak, Avalanche Lake, Mukurthi Lake and Kalhatty Waterfalls are the attractions of Ooty. Located at the foothills of the Western Ghats, Devangere is a thriving tourist place with lots of economic potential. Also known as the “Manchester of Karnataka”, Devangere was once a hub of cotton mills. As per the history of Karnataka, Devangere had developed into a textile center during the regime of Hyder Ali, Tipu Saultan’s father. Siruvani Falls, Marudamalai Temple, Harihareshware Temple, St. Thomas Church and Clock Tower are the attractions of Devangere. Local South Indian cuisine is the best bite here. The Scotland of India, Coorg is one of the most beautiful tourist spots on the Western Ghats. This holiday getaway from Bengaluru brims with unmatched luxury of nature and green exuberance. Situated at a height of 3500ft from sea level, Coorg is an interface between hill station and valley. The lush green beauty of nature prevails all over the landscape rolling with wavy coffee plantations. 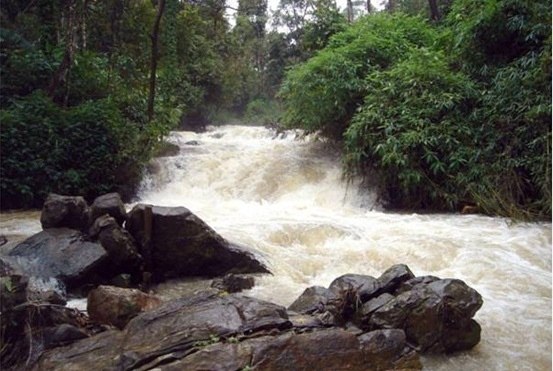 Coorg is an exotic retreat on weekends in the season of summer. Abbey Falls, Iruppu Falls, Omkareshwar Temple and Madikeri Fort are the attractions of Coorg. Located within a distance of 100 km from Bengaluru City, Nanda Hills is an ideal weekend getaway which does not require a planned trip. The surrounding of the hill is a thick cover of flora which lends a green look to the landscape. The hilltop houses a temple where it is a thrill to view the sprawling surrounding from. The natural beauty of the place makes it an ideal location for one fine morning drive. 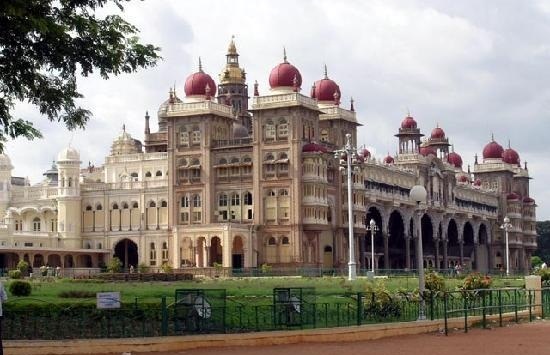 Visit to Mysore is a historical exploration drive. The city of Mysore, once the seat of Tipu Sulan’s regime, is a dedicated chapter in the colonial history of India. The city is a living witness to Tipu Sultan’s disobedience and resistance to the British. The story of Hyder Ali, Tipu’s father and his rule is also associated with Mysore. The Mysore Palace is the center of attraction at this getaway from Bengaluru. A part of the palace has been converted into a museum. Mysore is the best visit for Dussehra celebration in India. If you dream of a leisurely walk on a lazy morning and a laidback evening amidst tea plantations, Coonoor is a perfect getaway for you. The idyllic setting of Nilgiri Hills in Tamil Nadu is the location of this fascinating hill station. The rolling fields of tea plantation offer impressive that soothe the senses. Birth watching is a rare pleasure that Coonoor offers to visitors. The landscape is suitable for hiking as well as trekking. 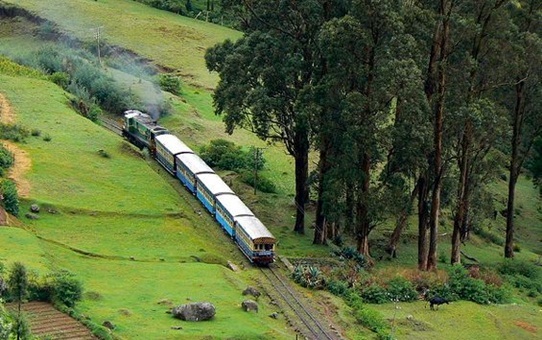 A toy train runs across the hill station offering the best glimpses of nature that you have ever imagined. Catherine Falls, the Hidden Valley, Sim’s Park, Toy train and Lamb’s Rock are the attractions of Coonoor. 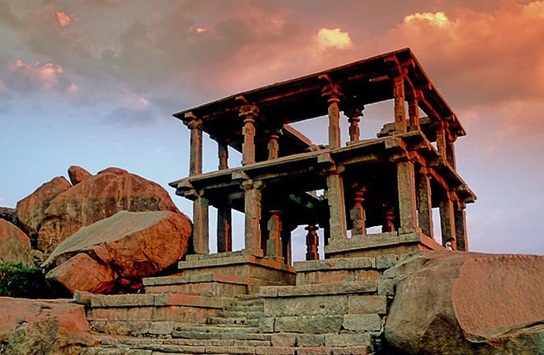 A small town of historic importance in North Karnataka, Hampi was the capital of Vijaynagar Dynasty. The town was constructed on the Tungabhadra River. The townscape is dotted with architectural ruins of the Vijaynagar Empire. Some monumental palaces and forts stand tall amidst the ruins. Colossal temples are the highlights of Hampi, too. Besides its touristic significance, Hampi is a sacred spot for the Hindus because of its association with the mythology of India. It was a thriving commercial center in the medieval era. Lotus Palace, Monolith Bull, Matanga Hill, Old Palace and Hampi Bazar are the attractions of Hampi. IndianEagle.com books the cheapest flights to Bengaluru in India.